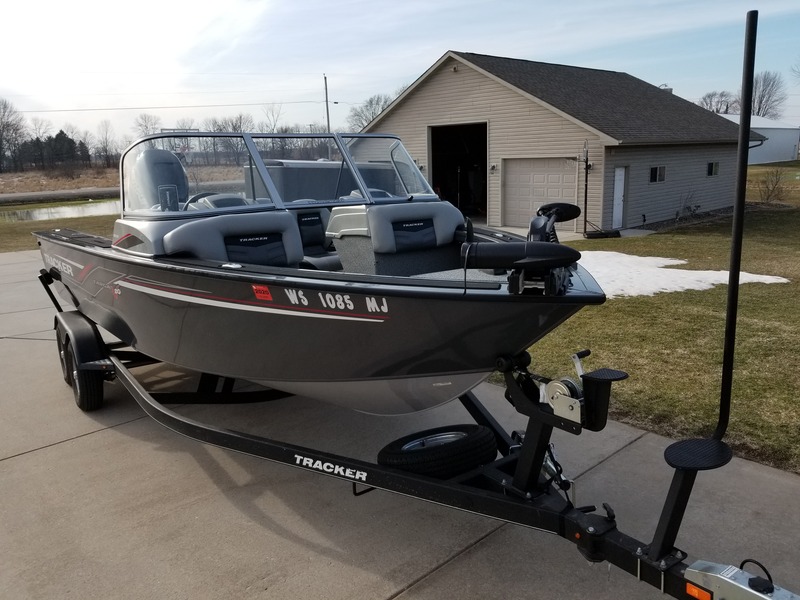 The Tracker Targa V20 Combo (2017 year) is all welded aluminum hull built for families and die-hard anglers, with an aft deck extension, 2 hidden jump seats under the aft fishing platform, a ski tow pylon, plus 2 lighted aerated livewells (19 gal in bow, 48 gal in aft), and plenty of lockable rod lockers everywhere you look. The fishing seats can be moved to any of the 5 pedistal base locations for comfortable fishing and cruising. 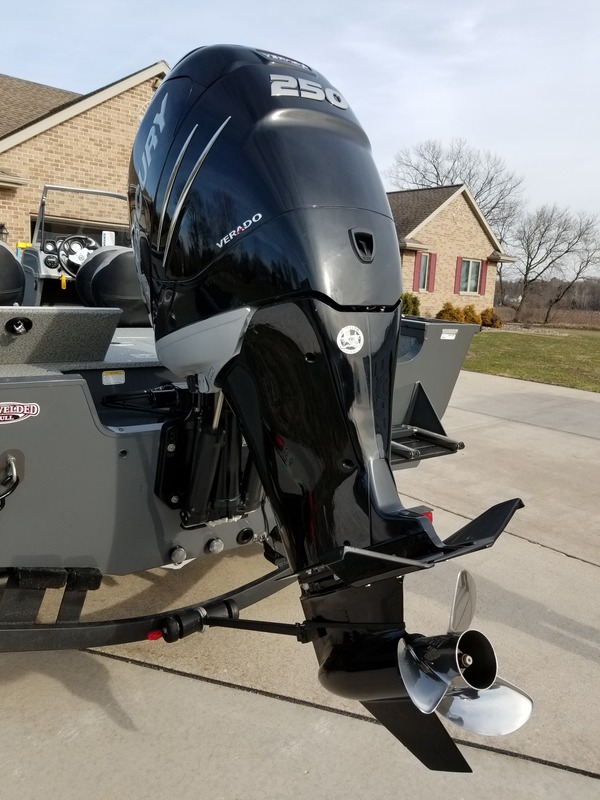 24 Volt Minn Kota Power Drive V2 trolling motor with 70 pound thrust. Lowrance HOOK fish finder. 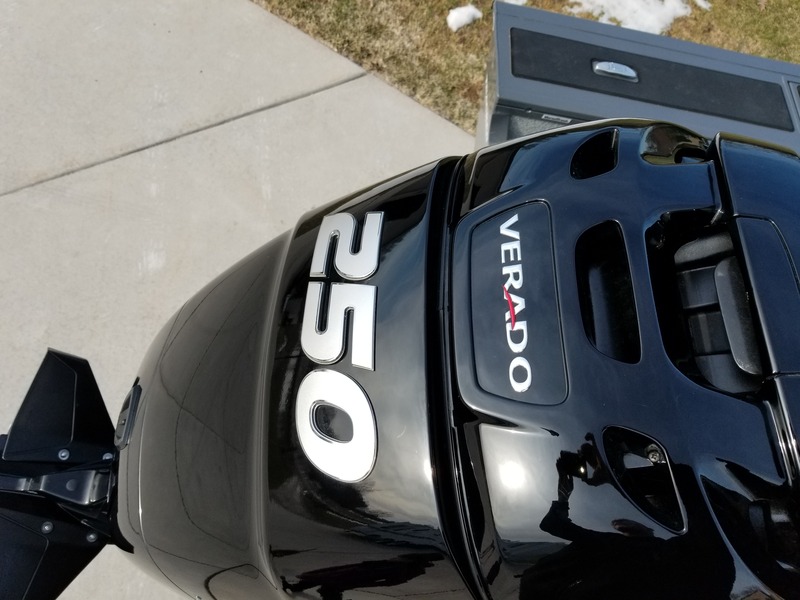 Mercury 250 HP VERADO outboard (2017 year). 2 Interstate 12 volt deep cell batteries for trolling motor. 1 Optima AGM 12 volt battery for motor starting and electronics. NOCO genius GEN 3, 3 bank, 30 amp onboard charging system. Overall length is 20 ft 2 inches. Beam is 8'6". Max HP = 250. Max person capacity = 8 or 1180 pounds. Fuel capacity 47 gallon. Upgraded all vinyl flooring (no carpet). Charcoal color rope ratchet cover with 3 support poles. Basic radio and speakers with USB connection. 2016 year Trailstar dual axis trailer with surge brakes and swing away tung. There are a few small scuff marks in rub rail and a few small scratches in decals on sides of boat.